This was bothering me for a really really long time and other people seemed to have this issue as well. So here is a fix for this. Kudos to Michael Paixao who identified the issue. Maya has an internal attribute called "liw" that indicates if influences are locked or not. When exporting the mesh it is exporting this attribute as a custom attribute but on import it doesnt recognize it as its own and trys to create it again. But because the name is already taken it will just give you an error. Make sure that all skinclusters are deleted and execute this script. 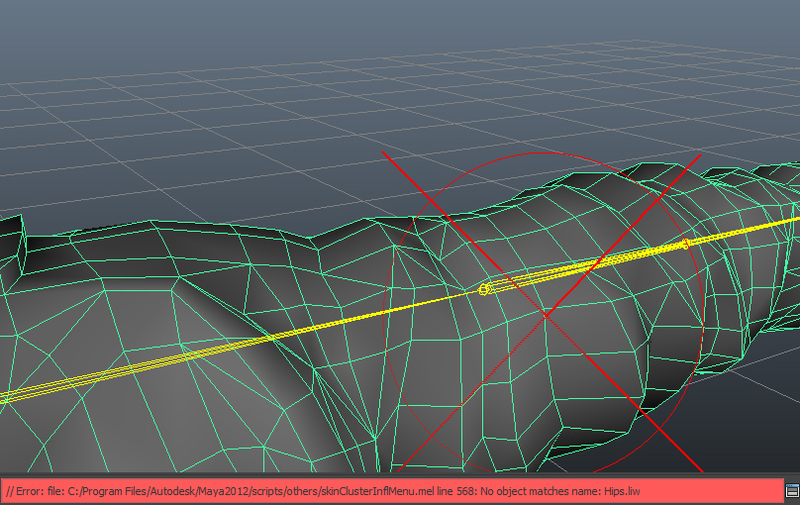 It is deleting this attribute so that maya can recreate it when you create the skincluster again. If everything works you should get a warning that you have to restart maya. Save the scene and restart it. This should make it work again. To prevent this issue from happening again, please make soure you have the latest FBX plugins. These liw attributes are created by an old FBX plugin import. Make sure that you have updated your MAYA FBX plugin to avoid creating more files. Had an issue with this now before i remembered you posted about it, and i found out that you can fix this without loosing all your skin data, the problem is that the attribute has the wrong name, whereas when it's wrong the attribute long name is 'lockInfluenceWeights' and the short name is the same, so doing a quick search and replace in the .ma file for '-sn "lockInfluenceWeights"' and replacing that with '-sn "liw"' fixes this problem. the python is a nice plan to Solve this!! This worked Thanks. I replaced the liw. Nice work , really wonderful.